Specifically engineered for LS-powered Camaro. This clutch kit comes complete with a CYN-R-G billet aluminum flywheel, upgraded pressure plate and unique sprung hub twin friction clutch disc with a Street friction on one side and a European ceramic material on the other. RPS's Twin Friction clutch has been designed and engineered especially for the LSX powered Corvettes, Cadillacs, and F-bodies. This clutch is a great replacement for the stock unit holding up to 550 RWHP. RPS's Twin Friction clutch kit comes complete with the patented CYN-R-G segemented flywheel, low interia clutch disc and performance pressure plate. 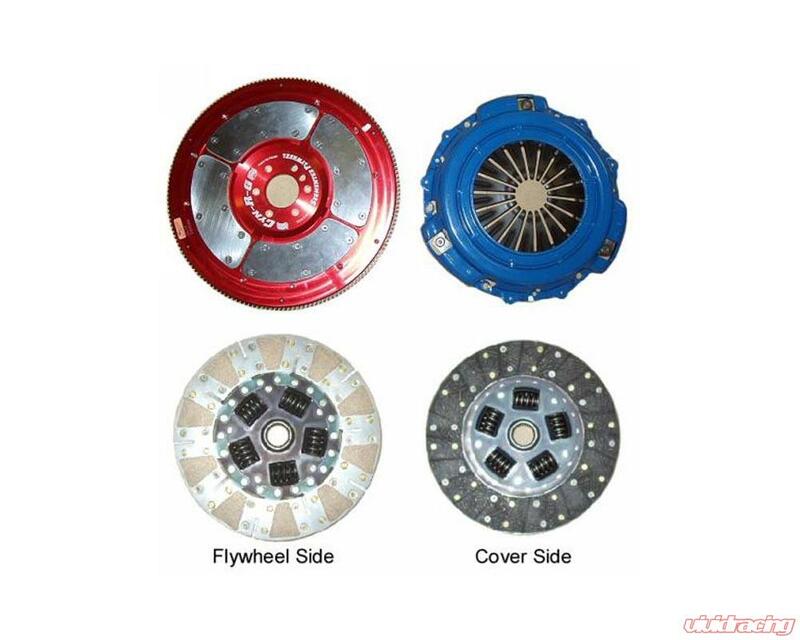 The disc uses a high grade organic friction material on the cover side and a high temp, high performance ceramic facing on the flywheel side. This combination makes for a great high RPM street clutch with smooth engagement, easy pedal pressure and quiet operation. The complete unit weighs just 36 lbs compared to the stock unit at 59 lbs. Most people see 10-15 more horsepower to the wheels with the Twin Friction setup.